I recently went shopping at Milton Keynes shopping centre with my daughter Devon, who has just turned 25. She was shocked when she was told at the counter that the shop didn’t accept Apple Pay! She told me she used Apple Pay everywhere to pay for things. That got me thinking. I had never used Apple Pay before so I was initially a little daunted about paying for my shopping by this method. Anyway, I decided to give it a go and it went remarkably smoothly. It was also so simple to use! It was simply that little feeling of technophobia that affected me. All you have to do is load your bank cards onto your Apple wallet which will only take you a few minutes. Not all bank cards are yet accepted by Apple Pay but as long as you load the main cards you use, you should be fine. Once you have loaded the cards you simply go into a shop, tap on the card you want to use from your wallet, place your finger on the on-off button of your iPhone using fingerprint recognition (or even face recognition on newer models!) then place your phone next to the card reader, wait for the pinging sound then take your phone away. 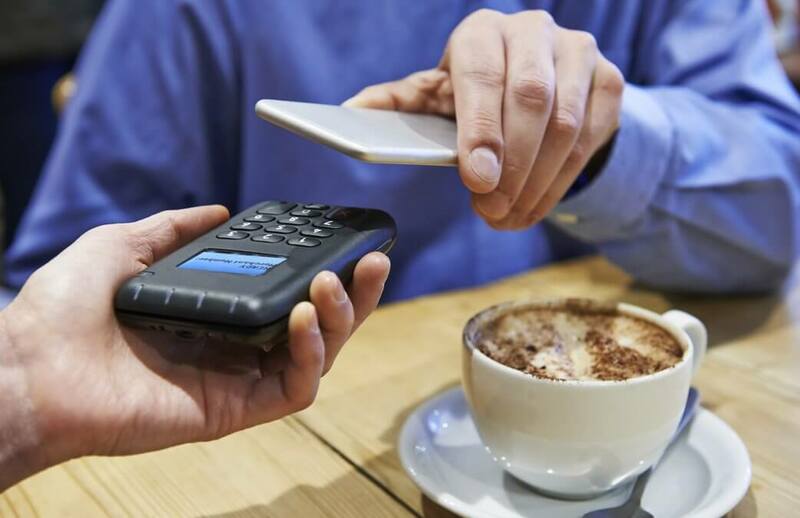 The transaction will show up on your phone as a contactless payment immediately. It’s easy, even for a technophobe like me! The beauty of Apple Pay is that unlike contactless payments with a card, there is usually no upper limit of £30 for payment with Apple Pay as most retailers do not cap payment at £30. I absolutely love paying for things using this method. I refuse to accept paper receipts too for the majority of transactions unless it is for a large purchase and the item may need to be returned! Buoyed with confidence from my mastery of Apple Pay I thought I would explore the other benefits of my Apple Wallet. After a recent holiday to Scotland, I noticed that Devon had stored our boarding passes in her Apple Wallet. When I bought some train tickets the other day I was given the option of printing out paper copies or saving electronic copies to my Apple Wallet. Well, of course it was a no brainer so I saved the train tickets to my iPhone. It was a breeze to use them as well – all you have to do is scan your tickets at the scanner at the gate when you arrive at your station. I then decided to book tickets for a seminar and was offered the choice of saving the electronic tickets to my Apple Wallet. Again I did so. What I have now found is that I am disappointed if I ever have to print off paper tickets because a) paper tickets can be lost b) it destroys more trees c) it wastes my time and crucially d) it is simply more inefficient. We run a paper-light office. I am obsessive about reducing the use of paper because a cluttered desk means a cluttered mind. The office is so much tidier and it increases efficiency as well as the obvious environmental benefits. We all have iMacs, iPads and iPhones in our office. My goal is to have an office that looks like an Apple Store because to this day Apple Stores are the only places I know that are genuinely paperless. If you would like to learn how we manage your money in an efficient, paper-light and modern way, why not contact us for a financial review meeting at our expense? You know it makes sense!